Have you ever asked which great Romanian architect has never built at least one house in Sinaia? Or which important personality of Romania’s political, economic or cultural life during the last 150 years has not tied his or her destiny to Sinaia? Do you know how many national and European premieres find their origins in Sinaia or alongside Prahova Valley? Have you ever asked yourselves if there is at least one European royal family that has not paid a visit to Peles Castle yet? 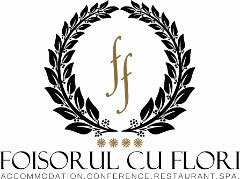 Sinaia carries inside it the footsteps or our famous predecessors. Owning an impressive number of national and European premieres, courted by the elites, Sinaia always stood ahead the time. „Sinaia, Oraşul Elitelor” is a book that tells stories about people, places and remarkable happenings. After reading the book nothing is the same as before. The architecture goes out on the streets, the city breathes the stories of prominent characters that shaped its existence and the reader feels the pride of being a Romanian. „Sinaia, Oraşul Elitelor” is a book about national values and the exquisite way our predecessors put Romania on the world map. Lying on the border between a monography, a travel journal and a photo album, the book includes more than 1000 pictures old and new, some of them published for the first time. „Sinaia, Oraşul Elitelor” is written by a man who declared his love for the inheritance left behind by our predecessors and is the fruit of a research and documentary work of more than 20 years. The author is architect Dan Manea, a fine connoisseur of the city history, a man who loves Sinaia, is a passionate climber on the surrounding mountains and a pioneer for many of the restoration efforts regarding buildings and historical monuments within Prahova Valley. Breathing the fragrance or old chronicles, the book offers the reader a novel perspective upon a city he or she thought it knew. Because a city seen through the eyes of an architect in love with his home town is completely different from the one we all thought we knew. “The author of “Sinaia-Oraşul Elitelor” succeeded in his effort to catch all details that made this location settlement a city differing from other Romanian cities. 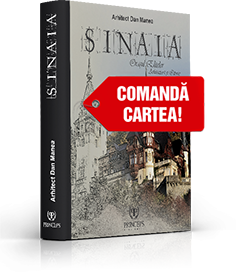 This difference is carefully and sensitively mapped, thus offering the reader an option to travel through Sinaia’s illustrated history without the feeling that physical distances diminish the emotional closeness. The book breathes out the fragrance of an illustrated and narrated monography of Sinaia, placing itself on the border between a monography, a travel book and an album”, Adrian Majuru, historian and anthropologist, manager of the Bucharest City Museum says. Romanian or foreign tourists will rediscover the city also due to the fact that “Sinaia, Oraşul Elitelor” suggests, for the first time in history, thematic touristic itineraries focused on monument buildings and author houses. The map completes a picture which paints the way Sinaia shines from different perspectives to the ones we were accustomed with. The book website, www.sinaiaorasulelitelor.ro, hosts an electronic version of the itineraries, where monument buildings and author houses are localised by GPS with the help provided by the digital map solution offered by GPSMAPS, leader of GPS digital maps solutions in Romania. The map is also optimised for mobile devices. 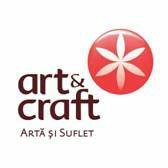 „Sinaia, Oraşul Elitelor” may be also bought on the dedicate website, www.sinaiaorasulelitelor.ro, at the “Eminescu” bookstore in Bucharest, at the “Book Store” bookstore in Sinaia and at the Sinaia City Museum – the Alina Ştirbei villa. 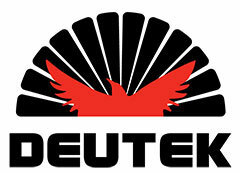 The book could be printed due to the direct and consistent help provided by local authorities, local investors and several national companies. 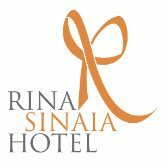 We thank the following for enthusiastically joining this editorial project: Sinaia City Hall, Palace Hotel, Caraiman Hotel, Cegedim Customer Information România, Internaţional Hotel, Bucegi Hotel, La Tunuri Tourist Complex, Rina Cerbul, Rina Sinaia, Rohe România, Vision Expo Systems, Inkorporate Print, Art&Craft, Foişorul cu Flori, GPSMAPS. 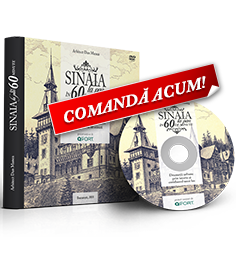 The most comprehensive book on Sinaia since Gheorghe Nistorescu’s monography was launched on March 19th at Casino Sinaia. “Sinaia, Oraşul Elitelor” is written with his heart by a declared lover of Sinaia. Carrying the aroma of old chronicles inside it, the book tells the extraordinary growth story of the city that would receive the important role of Romania’s summer capital. Readers are suggested a recourse to the values of the past and are offered landmarks for a corresponding future. More than 1,000 old and new pictures, many of them showed for the first time, illustrate the stories about people and remarkable events. Coming out after 20 long years of documentation research, the book lies on the border between a monography, a travel book and a photo album. 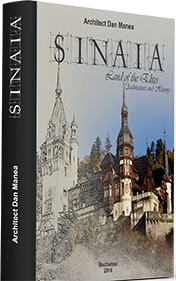 “Sinaia-Oraşul Elitelor” is signed by Dan Manea, a connoisseur of this city history, a man who loves Sinaia, a mountain passionate and a pioneer for many of the actions taken in order to restore the true value of the buildings and historical monuments alongside Prahova Valley. “This book is an invitation for anyone to travel through the halls of this huge open space museum called Sinaia: The Pearl of the Carpathians, the capital of Romanian tourism, the holiday resort with two Royal railway stations where the famous Orient Express stops, the Royal residence city or the summer Capital of Romania, as the city was called in time. One cannot see the true value unless he or she has the needed knowledge is the motto that guided me in my wish to unveil for all those wanting to discover, beyond what anyone can see, what this city truly means and the unique way it enriches the universal patrimony,” Dan Manea says. “The author of “Sinaia-Oraşul Elitelor” succeeded in his effort to catch all details that made this location settlement a city differing from other Romanian cities. This difference is carefully and sensitively mapped, thus offering the reader an option to travel through Sinaia’s illustrated history without the feeling that physical distances diminish the emotional closeness. The book breathes out the fragrance of an illustrated and narrated monography of Sinaia, placing itself on the border between a monography, a travel book and an album”, Adrian Majuru, historian, anthropologist, journalist and manager of the Bucharest City Museum says.